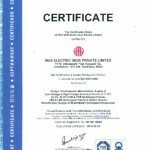 Safvolt, a Vacuum circuit breaker manufacturers and exporter. We have a state-of the-art manufacturing unit, which is spread in a vast area of 65,000 square feet. Our manufacturing unit is equipped with latest machines, which are operated by our expert workers. 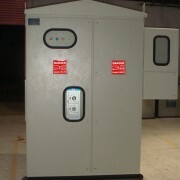 We have 100% in-house capacity to manufacture all types of panels. We have a capacious warehouse spread in an area of 5000 sq. 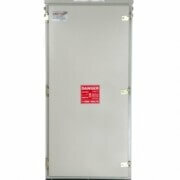 ft., where our range of Electrical Products like Vacuum circuit breaker manufacturers is stored in required quantity. Our warehouse is divided into different sections that help us in arranging the products according to the category. Each section is labeled properly, which facilitates easy retrieval of products during dispatch. We have employed efficient supervisors to manage all kinds of inventory in our warehouse. Our warehouse is situated in a strategic location well connected by different modes of transport such as air, road and sea. This helps us in timely delivery of the consignments. Equal emphasis is also laid on the packaging of products and we use superior quality packaging material for this purpose. We provide sea worthy wooden packaging to our export items, so that these remain safe during transit. Moreover, for local transportation, we provide bubble packaging with wooden flat form. Customized packaging is also provided as per the requirements of the clients.